Hi all, it's hard to believe that Chinese New Year is already around the corner! 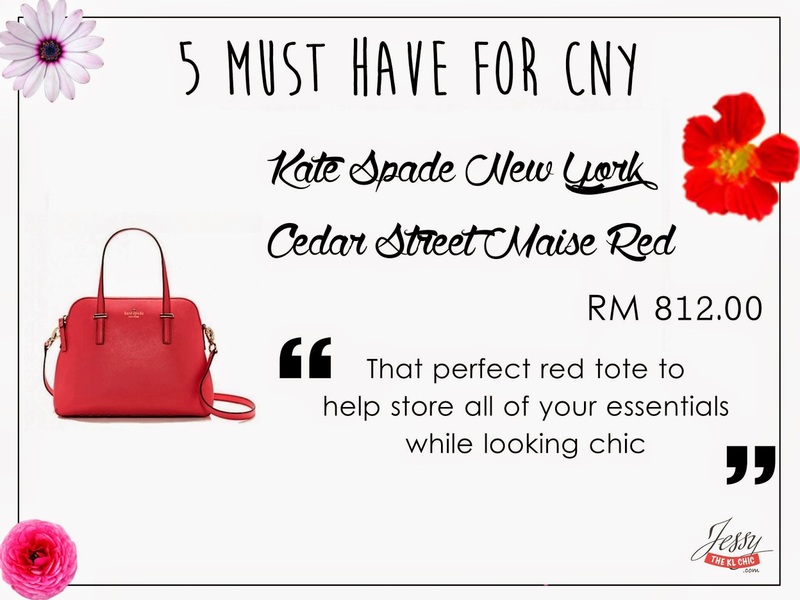 Have you all started on your CNY Shopping yet? Thinking of what to get or what kind of outfit to go for this year? Well, you are just in luck! 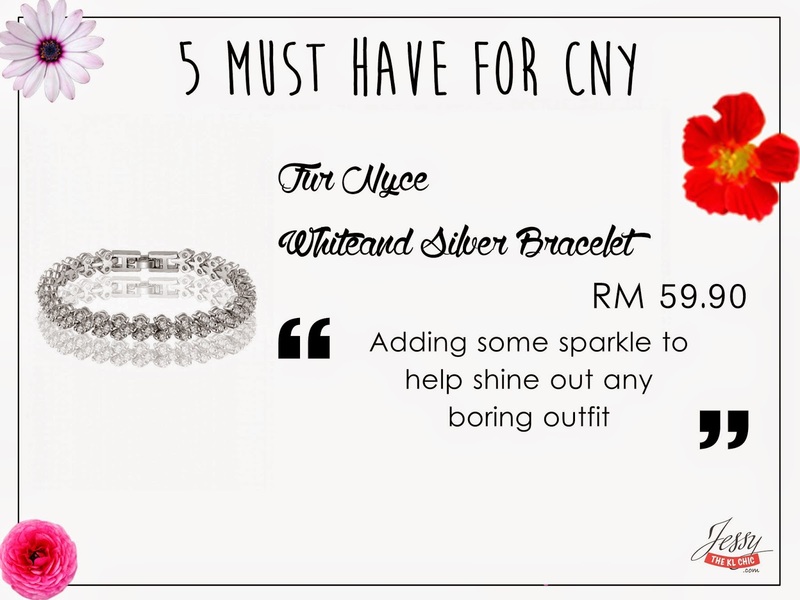 Here are 5 Must Have For CNY. I searched the clothes online and would leave the links after the pictures. So do click on it if you wanna get it. Every year everyone also aim to get the most reddest outfit but for this post, I themed all of my items to suit a very sweet and innocent look. You can also use this outfit for valentine's day, if you are still thinking what to wear for your special date. Somehow lace makes an outfit looks timeless and I feel no matter what the occasion you could re-wear it again. Lately I been trying to avoid buying clothes that are trending or those that are a little controversial. Because I feel like those could only we wore during the season of the trend and when it's over, it would be fashion suicide to wear it again. A good example of what I am talking about can be seen at Carrie Bradshaw Outfits. Add height to your outfit with this royal blue. Was so shock that this was only priced at RM38! LZD could be having a sale now. I wore LZD heels before and found that though it was higher than my usual heels, it was also comfy. Might get this before CNY. Kate Spade ought to be most of us girls dream brand. Currently I'm gushing over this brand. I should have got a Kate Spade bag when I was in Australia because somehow the prices there for the bags were ridiculously cheap! Love their purse collection too! Feel like this would be the perfect bag for CNY to store all of the basic essentials and the ang paos. hehe. Gong xi fa chai in advance!